Philippine natural medicine in the form of common vegetables such as “malunggay” have been proven to be very rich in life-saving nutrients and vitamins. “Nature has provided potent medicines in the form of vegetables and among the most popular ones are the malunggay (Moringa oleifera), ampalaya or bitter gourd (Momordica charantia), carrot and winged bean. "These vegetables guarantee to keep your doctors away,” Food and Nutrition Research Institute (FNRI) of the Department of Science and Technology (DOST) nutritionist Dr. Lydia Marero said in a statement. Nutritionists aver that 100 grams of malunggay leaves yield 75 calories of energy, 5.9 grams protein, 12.8 grams carbohydrate, 353 milligrams calcium and 3.7 milligrams niacin. For thiamin, phosphorus, and ascorbic acid, malunggay is at the top of the list for a Philippine natural medicine, Marero said. “Because it is rich in vitamins A, C, and E, which are very potent antioxidants, malunggay is a very good quencher of unstable free radicals that can react with and damage molecules that cause aging,” she said. Antioxidants reduce the appearance of wrinkles and fine lines and prevent the onset of various chronic diseases like arthritis, cancer and heart and kidney diseases. Dr. Marero also reports that malunggay contains the phytochemical niaziminin, which is found to have molecular components that can prevent the development of cancer cells and correlated with inhibitory ability against superoxide generation. “The first naturally-occurring thiocarbamates, novel hypotensive agents niazinin A, niazinin B, niazimicin, and niaziminin A and B were isolated from malunggay,” she explained. Marero said, tender malunggay leaves reduce phlegm and are administered internally for scurvy and catarrhal conditions, while the flowers are used to heal inflammation of the tendons and abscesses. Unripe pods of malunggay can prevent intestinal worms, while the fruit also prevents eye disorders. On the other hand, Philippine natural medicine attributes many medicinal properties to ampalaya. Reportedly, the extract from the leaves or roots shrinks hemorrhoids. The leaf juice is supposedly a good antitussive (it stops cough), antipyretic (for fever), purgative and anthelmintic (against roundworms). 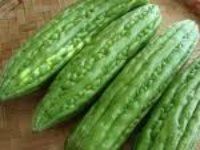 Ampalaya is also used to treat sterility in women and is believed to alleviate liver problems. Likewise, studies claim that ampalaya has some antimicrobial capability and can help infected wounds. 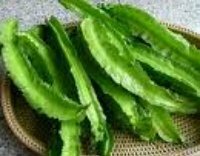 Ampalaya has been considered as nature’s answer to diabetes. Today, almost 100 studies have demonstrated the blood sugar lowering effect of this bitter fruit as found by Dr. A. Raman and Dr. C. Lau, who reviewed over 150 pre-clinical and clinical studies on ampalaya’s anti-diabetes properties and phytochemistry, according to a publication of the AgribusinessWeek. Ampalaya, a Philippine natural medicine, is traditionally regarded by Asians, as well as Panamanians and Colombians, as useful for preventing and treating malaria. Laboratory studies have confirmed that various species of the bitter fruit have anti-malarial activity, though human studies have not yet been published. Meanwhile, carrots are credited with many natural medicine properties; they are said to cleanse the intestines and to be diuretic, remineralizing, antidiarrheal and overall tonic and antianemic. Carrot is rich in alkaline elements which purify and revitalize the blood. They nourish the entire system and help in the maintenance of acid-alkaline balance in the body. The carrot also has a reputation as a vegetable that helps to maintain good eyesight. It is a rich source of carotenoids, chemicals found in plants which are now being studied for their cancer-fighting activity. One carotenoid abundant in carrots, alpha carotene, has been shown to suppress the growth of cancerous tumors in animals. Another carotenoid found in carrots, beta carotene, may reduce the risk of both cancer and cardiovascular disease. Carrots are a member of the umbelliferae family along with celery and parsnips, which are being investigated by the National Cancer Institute as a potential natural medicine with health benefits. Numerous studies worldwide confirm that people who eat diets high in carrots and other foods rich in carotene are less likely to develop certain forms of cancer than those who do not. In fact, studies show that even people who are exposed to specific carcinogens, such as tobacco and ultraviolet light, could reduce their risk of cancer by eating more carotene. Carrots contain calcium pectate, a type of soluble fiber shown to reduce blood-cholesterol levels. Two carrots a day may reduce cholesterol levels by as much as 20 percent in people with high cholesterol. It has been recommended that the daily allowance for carotenoids is 5,000 IU, but cancer researchers suggest that in order to dramatically decrease cancer risk, one should consume about 12,500 IU per day. This isn`t too difficult, considering that one grated, raw carrot daily provides about 13,500 units of carotene. Carotenoids are also excellent for the eyes. Beta carotene permits the formation of visual purple in the eyes, which helps counteract night blindness and weak vision. Carrots are also a good treatment for diarrhea, and can relieve gas and heartburn. Raw grated carrot can be applied as a compress to burns for a soothing effect. Its highly energizing juice has a particularly beneficial effect on the liver. Consumed in excessive quantities, carrots can cause the skin to turn yellow. This is called carotenemia, and it is caused by the carotene contained in carrots. It is frequently seen in young children but it is not at all dangerous. Chewing a carrot immediately after food kills all the harmful germs in the mouth. It cleans the teeth, removes the food particles lodged in the crevices and prevents bleeding of the gums and tooth decay. Eating carrots is also good for allergies, anemia and rheumatism, and is also a good tonic for the nervous system. Everyone knows it improves vision, but it does not stop there. As a natural medicine, the delicious carrot is good for diarrhea, constipation, being very high in fiber, intestinal inflammation, cleansing the blood or a liver tonic and an immune system tonic. Carrot is traditionally recommended to weak, sickly or rickety children, and to convalescents or pregnant women. As a natural medicine its anti-anemic properties have been famous for a long time. “It’s a veritable backyard supermarket,” said Dr. Noel Vietmeyer of winged beans, more popularly known in the country as “sigarilyas”. The tender pods, which are the most widely eaten part of the plant, can be harvested in two to three months of planting. The long pods, which can reach up to 50 centimeters in length, are rich sources of proteins, carbohydrates, and vitamin A. The pods may be eaten raw or used in salads, soups, stews, and curries. The immature pods can also be used as peas, while the matured pods can be stewed, boiled, fried, roasted, or made into milk. The seeds mimic soybean in composition and nutritive value. The seeds contain up to 39 percent protein, 18 percent fat and 42 percent carbohydrate. The winged bean does more than just fill stomachs. Indonesians traditionally use it as a natural medicine via extracts to treat eye and ear infections and cure dyspepsia. Malaysians claim a lotion concocted from the plant helps soothe smallpox. Sean Adams, information chief of the United States Department of Agriculture, reported that the winged bean has high levels of proteins called lectins, which are used as diagnostic tools in medical research because they bind to certain blood cells.